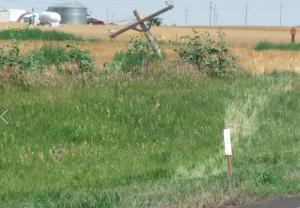 GOODLAND – A driver died in an accident just after 12:15p.m. on Sunday in Sherman County. 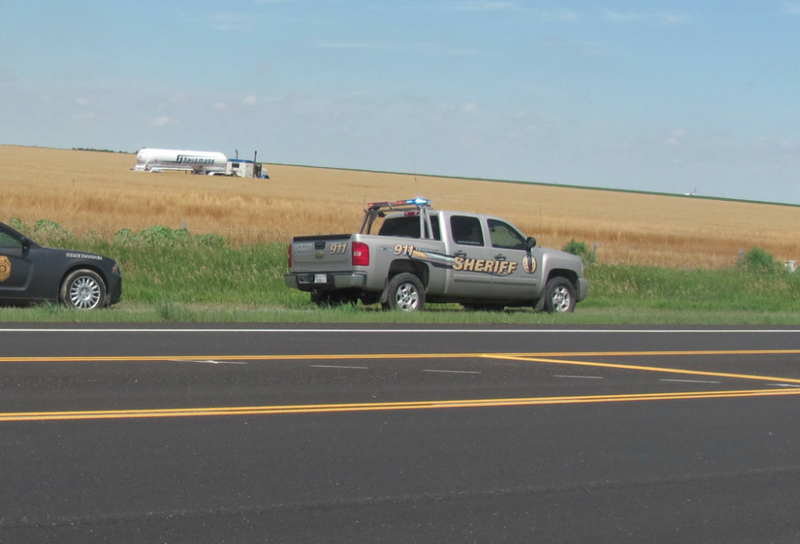 The Kansas Highway Patrol reported a 2014 Peterbilt semi driven by Ronald R. Runyan, Grand Forks, ND., was northbound on Kansas 27 three miles north of Goodland. The truck went left of center, entered the west ditch and struck a post. 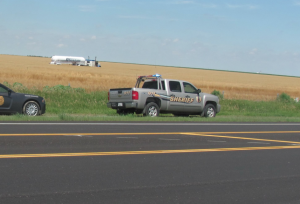 The truck continued northbound through another field, hitting a KDOT fence and continued northbound crossing County Road 67, hit another KDOT fence and traveled through a wheat field. The truck came to rest approximately 100 yards into the wheat field on the west side of the highway. Runyan was transported to Goodland Regional Medical Center where he died. He was not wearing a seat belt according to the KHP.